Take a deep breath you have a minute to breath! That first month with two eclipses started you out with a bang. Now is the time to put all that changed, everything you worked on into action. Use what’s happened to your advantage and play with it. Find the points that need to be tweaked but most of all enjoy doing it. Have fun with your life and the action steps. It doesn’t have to be some serious never smile deal. It should put a smile on your face to think about or have you seriously engaged with it. You need to want what you are doing in your life! That makes it more fun. Does it have to be a grand passion? Nope. But the desire to engage with it needs to be there! Want more? Book a reading. Get Unstuck with Nelys the latest in the Froud’s Faery Series. This week’s deck is the Unfinished Tarot. Missed Create a Spiritual Practice? Watch it here. So will you stop fighting with you? You can debate with you but when that debate turns into what’s holding you back. That’s not so good! You need to get yourself all on the same page so you can move into it. This holding pattern of delay due to over analysis or fear needs to be put aside. How can you move forward? What would that look like? Where’s your comfort zone? There are times to push and expand that zone. This is not one of them. Take time off, take breaks in your day, and rest a bit. This rest is going to allow you to come back to it all with a fresh eye and get it sorted and in order. Step away to get where you want to be. How can taking a break help you get things in order? Are you too close to it to know? What was shiny and new? You know when you want something really bad and then you get it and then it turns to a whatever? That bright shiny thing that’s so sparkly and new but tarnishes at the end of the week. That’s what the Frenchman is reminding you of. Once you get used to something it is not that exciting. Stay the course and find out what it holds when you know it. Do you jump from project to project? How can you finish it before you abandon it? Get our invite to Get Cleared and find out why you want to clear your energy and how! Plus you will get other goodies in your inbox. Spirituality is not a luxury. It should be used everyday. 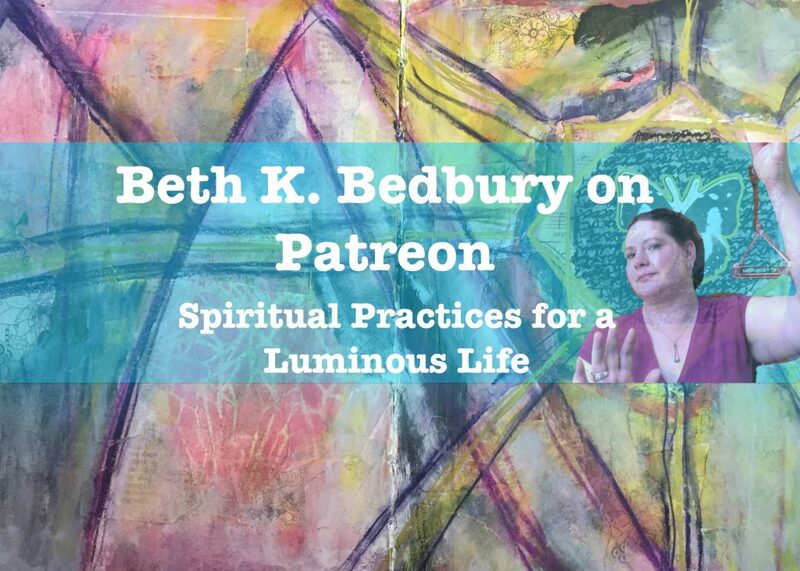 This project comes out of a desire to share my spiritual practice in bit sized and affordable. To help you create a luminous life by finding the sacred in the mundane. Life is should be experienced in all its wonder even when you are uncomfortable with it. Spirituality is about finding your own way. Trying on my ideas and finding with works for you. Refining it and making it your own. It is about creating your magick for you to create a luminous life. You are so talented all about how practicing makes you talented not some innate intangible ectoplasmic white goo. 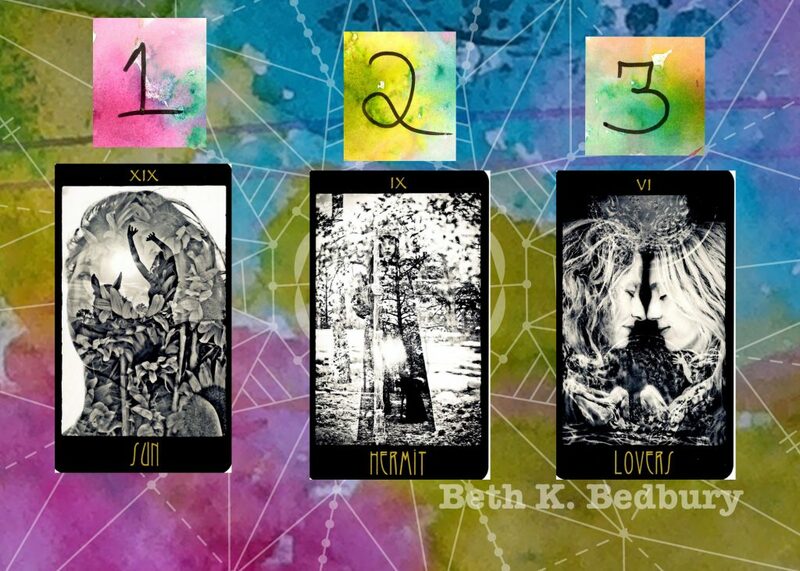 Tarot/oracle spreads for you to use. Word of the Year Seen and sticking with it when it challenged me. Art journal tour to show you that practice not talent is real. Using your intuition and awareness to find the themes in your life. Of course there are monthly thought prompts for you to use and engage with. 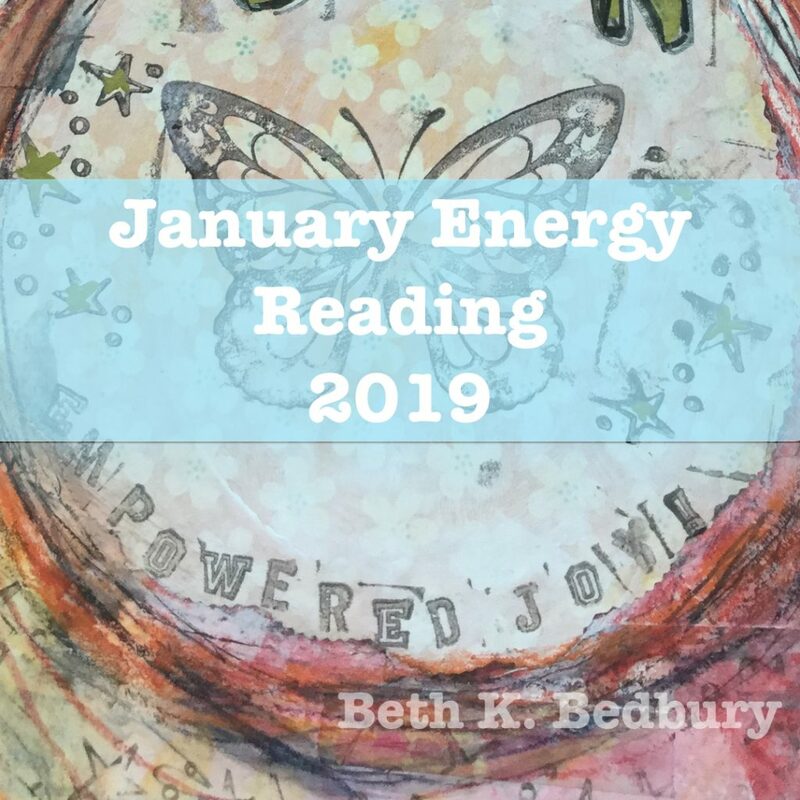 Blog, a video, and an audio, month long access to webinars, and discount on all Retrograde Offerings and Solar readings. Already enjoy my YouTube Channel and Blog? Help keep them going. You get month long access to the webinars & tarot/oracle card spreads. Access to exclusive content. I am whimsical in nature and want to bring to you what’s speaking to me in the moment. Monthly thought prompt PDF and the above. This level brings in a monthly video along with an audio of my choice for the month, plus all the above. Join now and start creating your spiritual practices for a luminous life. I never thought I would get to use that line from Bauhaus in a blog! “ectoplasmic white goo” Kind of excited about that! Catch last weeks card reveal, never to late for it. Like goodies? Join the list for special offers and more. Here’s a quick update where you can find me on the Social media these days. Check me out and follow me on your favorite platform. Now got that update out of the way. Where are you in time and space? Don’t be off on the past or the present or in a fantasy. Be here in the moment. Feel it and taste it. It is so easy to be anywhere but the now. Especially if the now has some discomfort. A bit of well place irritation will help you out. Without irritation there’s no pearl formed in the oyster. Eclipses, Magnetic Storms, Solar flares. How do you deal with them? Like this? Check me out on Patreon. This weeks deck is the InstaOracle. What do ponies do all day? They eat and take naps, maybe frolic a bit. How can you be like a wild pony? Let yourself take breaks and remember breaks let you come back with a fresh mind. You get a bonus point if you get up and walk to the coffee pot to avoid an embolism from sitting. Getting inspired rarely if ever happens when you are working until you drop. Inspirational ideas show up in the shower, at the coffee pot, while day dreaming. So bee a pony and chill. Where do you need to back off and how can that help? What about taking breaks do you like or dislike? Are you telling all? 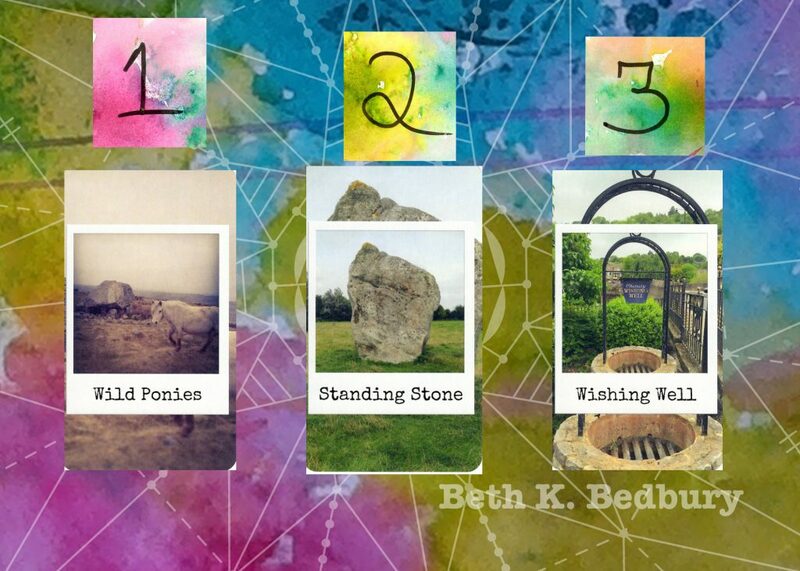 Where do you need to be like a Standing Stone? They make you wonder how they got there. This makes them enigmatic in nature and a more then a bit mysterious. You don’t have to hide what you are doing but you don’ t have to tell all to everyone. You can keep bit of it to yourself to create a surprise and some mystery. Do you tell all, all the time? What if you held back more? How does making someone wonder create mystery? What your wishes and desires? You are at the point where you need to know what you are wishing for. Start with the concept of what you want, the big bold juicy dream of it. Don’t worry about how yet. You simply need to spend some time dreaming. This is going to help free you up to know what you want. Once you have this down then you can start in on the action steps. How can taking time out to wish and dream be productive? Do you have an idea of what this might be? If so is it what you want or what you’ve been told to want? The year is still new and fresh and full of potentials. You already made it through a solar eclipse at the new moon. There’s still a lunar eclipse to look forward to at the full moon. Look at where you want to be or the direction you want to head in. Now is the time to set up the start of that. It is the step up and sure things will change as you step into your potential. Be ready to be flexible as you move into 2019. Keep your perceptions open and fluid. Don’t lock yourself into one pattern and get stuck there. Eyes open, present and aware of all the potentials you hold. Missed last weeks card reveal? Catch it here! There’s a Chakras connected webinar on January 16th, at 6 PM, Mountain! To get the info sign up here. Happy New Year! First Card reveal of 2019! Hope you all have a blessed year full of joy and empowered abundance. So things are changing here in Bethland you may have noticed the new site and finally under my own name. That’s been a nice energy shift after a bunch of procrastination. That’s a huge one! The other big change is I’ll be doing the Card Reveal two times a month. I need to free up some space for other things to come in and need a bit of a break from it too. Memberships! Is my theme for the year! 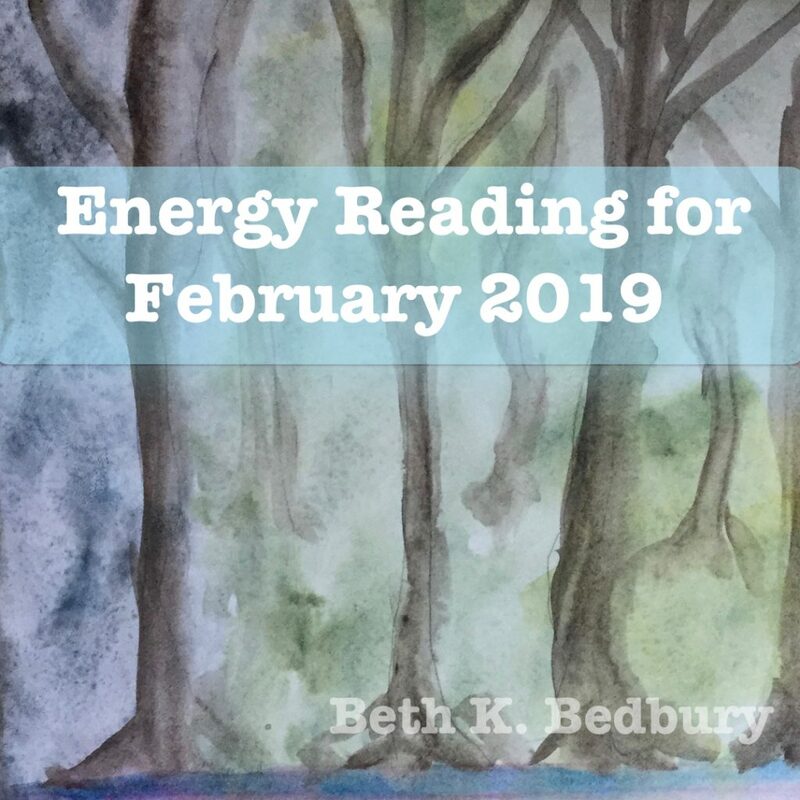 The Monthly Energy Buzz reading got a classroom aspect attached to it and I am now on Patreon too. So if you like what I do check out Patreon for more of it and The new version of Energy Buzz will go live in June. Get on the list to find out about any preorders for it. Keep your eye out for one on one Mentoring Sessions Coming up. Things that will stay the same Tarot/Oracle card readings will still be here. Here’s your Year Energies to get you started. This week’s deck is the Wheel of Fortune Tarot a major arcana only deck. 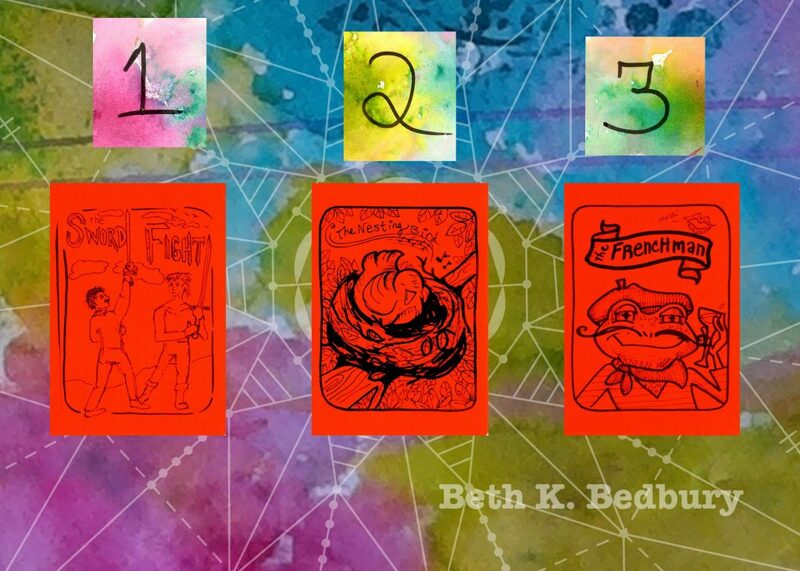 Catch Favorite oracle cards over here. Where do you want to shine out? What do you want that to feel like for you and others? The call here is for you to let yourself be out there. Be seen and shine, knowing that bravery is action even when afraid. The Sun reminds you that bravery and courage are not the absence of fear but the willingness to act while freaking out. Where do you need to be brave? How can you be freaked out and still take action steps? What does this mean to you? There’s going to be a need to pull back at times and be silent. This can be a day or an hour. It doesn’t have to me a year long retreat, it can be short. The goal will be in that short time to get still, quiet and know. Let your heart come forward at these moments of pull back and see what it has to say. By see, I mean how you receive your info from the ‘Verse. Where are you feeling the need to be quiet, can these retreats be short or do you need a longer one? Can you hear what your heart is telling? Will you let this feeling of rightness in? Usually this is about choices and making a ton of them. This feels like a main choice of knowing you are right where you need to be. That the path you are on is the path you are meant to be on, for there is only Path. Most of this is the single choice to know you are on the right one, no matter if you feel not aligned, blocked, or any of the other reasons we decide not to be on the right path. How is this a choice? Can you be on the right path right now? If not why?